You may want to become an airline pilot. You may simply want to experience the thrill of defying gravity and taking to the air for fun and pleasure. Whatever your reason for learning to fly you will need to spend time choosing a fling school. If you want to gain your Private Pilot’s Licence (PPL) as a precursor to obtaining a Professional Licence you must undertake your flying training at one of the flying schools that has its syllabus and instructors approved by the regulatory authorities. Many flying schools will take students from complete beginner to Air Transport Pilot’s Licence and there are advantages to staying with the same school throughout your flying training not least of which is that you will become very familiar with the aircraft type and the instruction methods. The disadvantage of doing all of your flying training at the one flight training school is that you limit your opportunities to experience the wider world of aviation. 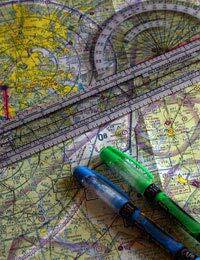 There is no doubt that you will have a steeper learning curve post-qualification if you do all of your flying training from the one airport. Many professional level flight training schools are located at airfields where flight examiners are based. Flying exams can be stressful enough without having to deal with the unfamiliar requirements of a strange airfield – by training at the location from which you can take your flight tests you are instantly giving yourself a head start. If your intention is to simply gain your PPL or NPPL it may be that a flying club environment will be the best place to learn. There tends to be a friendlier atmosphere at a flying club with an associated social life. Flying clubs make an effort to put the fun into flying by arranging rallies, group excursions, navigation competitions and events for the non-flying members of the family to join. Don’t think for one moment that the standards of tuition will be lower at a flying club simply because of the informality. As a student you will be prepared vigorously for the same examinations wherever you decide to learn to fly and you will be expected to study and progress whether you choose to learn to fly at a flight training school or a flying club. For you to make progress during your flying training, continuity is important. In an ideal world you would have lessons daily but realistically this is more likely to be weekly. When you are looking for a flight training establishment it makes sense to look close to home for a number of reasons. You will want to arrive at the airfield relaxed and ready to learn. If you’ve had a 5 hour journey on a traffic laden motorway before you even get to your flying lesson you are not going to be in the best frame of mind. Flying schools run to a tight schedule with aircraft being fully utilised. If you are late you will lose your slot and your journey will have been wasted. Worse still, you may even be charged for the missed lesson. The weather can be fickle. We all joke about the weather in Britain but it is no joke when you are trying to get airborne. If you live a distance away from your airfield you can have perfect weather for flying at home only to find that the meteorological conditions at the airfield are not flyable and your journey there has been wasted. As a low-hours student pilot there is no debate, you need excellent weather in which to fly. If you want to engage in the social events organised at your flying club you will want to live within a reasonable driving distance home. No-one wants to drive for hours to attend a barbecue or quiz night. When learning to fly a lot of studying will be done at home in your own time. If you hit a problem and you live close to your flying school or club it is not difficult to drop by and have a chat with one of the instructors – and there is always an instructor somewhere on the premises who will be happy to help you. If you live a distance away this is not so easy – you will feel isolated and alone. If you are just starting out on the road to gaining your wings this article will hopefully have given you a few pointers to set you on the right track. Learning to fly is exhilarating, challenging and rewarding but most of all it can be expensive if you choose the wrong flying training school or club. Use the information here to avoid making that mistake.